When and Where: The plot was hatched in 1970, in Spain. It collapsed in early 1972, in the United States. Not a long shelf-life for such a grand undertaking. The Bleemersnarkee: Several luminaries here, including McGraw-Hill (Clifford Irving’s publisher), Dell Publications, Life magazine (who planned to publish excerpts of the proposed book) and Howard Hughes. The latter bleemersnarkee could hardly be considered a “victim” but we include him here for the sake of propriety. Luckily, readers were spared, at the time. The Bleemersnarker: Clifford Irving, his wife, Edith, and his friend Richard Suskind, an author of kids’ books. Yes, it was a conspiracy. The Plot: Suskind and Irving first spun their fantasy web in 1970. Because Howard Hughes had been the world’s most famous recluse for more than a decade, the duo concluded that he would be indifferent to any scheme they could create. They were banking, literally, on the assumption that Hughes would never again make a public statement or appearance. Suskind was appointed as primary Hughes’ researcher, Irving the writer. Irving helpfully conjured up several forged letters to validate the proposed deal for onlookers. One of these letters purported to be Hughes’ request that Irving write his biography. Armed with the forged letters, a load of “facts” about the mysterious Hughes, and some major chutzpah, Irving approached McGraw-Hill. Over a short period of time, Irving convinced the publisher to advance nearly $800,000 on the project. The majority of the money was earmarked for Hughes. Checks were dutifully written to “H. R. Hughes,” which were deposited into Edith Irving’s Swiss bank account under the phony name. By the end of 1971, Irving’s manuscript was in the publisher’s hands. Along with the work product, Irving thoughtfully included more scribbled notes in “Hughes’ handwriting.” Several forensic and handwriting experts, including those provided by Time-Life, declared that everything was on the up-and-up. The deal was done and McGraw-Hill proudly announced a publication date for March 1972. But Irving’s ship was a leaky one. It sunk in record time and with great gusto. On January 7, 1972, Hughes unexpectedly surfaced, arranging for a telephone conference call with 7 columnists he had known for years. The event was televised live two days later. Hughes made it clear that the whole episode was a fraud. 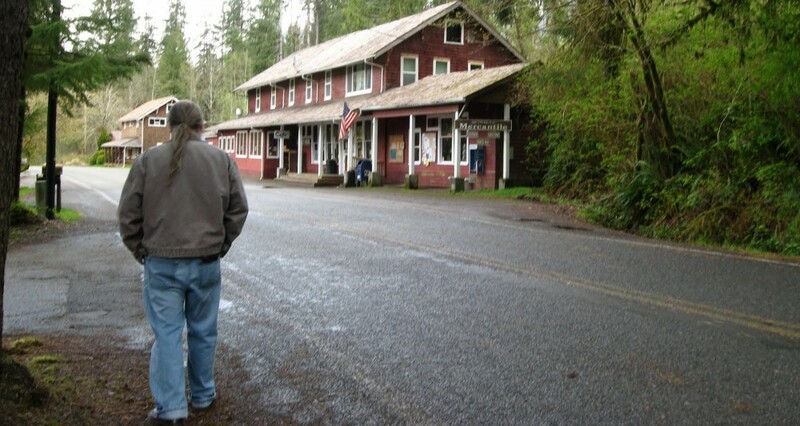 He knew nothing about it, and didn’t even know Irving, despite the writer’s repeated tall tales about meeting with the recluse often and in some very strange venues. Woops. Irving tried to hold out for a while but it all came to nothing. Swiss authorities soon discovered the bank account belonging to Edith Irving. Woops, for real. The Fallout: Irving took the fall but it wasn’t all that painful. Clifford and Edith confessed on January 28, 1972. They were indicted for fraud, along with co-conspirator Suskind. By June, all were found guilty and sentenced. Irving spent a year and a half in jail. Suskind was released in less than six months. The advances were returned to the publishers. Close call, eh? Of course, McGraw-Hill and Time-Life were muddied for a generation or two. The Reveal: Irving continued to write. His journey into literary fraud was memorialized in two film productions. In the end, the writer survived his flight of fancy with Howard Hughes and life went on. However, it’s this hoax that made him a dubious and enduring celebrity. I’m a sucker for any writer who can do some self-poking, who can show a little smile about the world. Throw in a subject that is familiar and ubiquitous. Now, top it off with a great title. That’s a winner, for me. I just heard on a show about the lottery that I am fifteen times more likely to be bitten by a shark than I am to hit the jackpot. I watch all kinds of things on television while I am writing. I am one of those people who have become addicted to background noise while I do something else. I don’t need it to be loud, I just need, well, I don’t know why I need it, to be truthful. It all started with this catchy little poem. It’s simplicity was combined with a strong visual impact that drove me right to the blog. I’m not a poet, just an old geezer writer from the days of long-finned cars. Still, I know what I like. This article is primarily directed to nonfiction writers, although it also applies to some fiction works. I’m thinking here of that strange invention often called “fact-based fiction,” a hybrid combination of genres. In either case, the Introduction (call it “Prologue” perhaps) is critical to the construction of your entire story line. Without a captivating Introduction, you will lose your readers quickly and, sadly, sometimes forever. The most important element of the Introduction is “the hook.” Its purpose is to grab the reader’s attention so firmly that he or she must move on to the meat of your story. Without the hook, your reader can easily succumb to that blank stare, yawn state that all writers hate to see. You must set the hook quickly and firmly to keep your readers as happy and interested as possible. Creating the hook has a few elements that are critical to success. First, the Introduction must leave your reader with questions, unresolved issues that absolutely must be answered. At the end of the Introduction, your reader must be a little dissatisfied with what he or she has learned. Now, this is a tight line to walk. You can’t really pose these questions directly. Rather, you must use enough subtly and tact to let these questions arise naturally in the reader’s mind, to come about of themselves. This kind of reader participation (interaction) is what moves them to want more. Each writer will probably approach this element in a different way, according to his or her own style. This is a good thing because style counts. Style is what readers appreciate most, sometimes more than the story line. But, the bottom line is that you must offer a mild itch that only you can scratch throughout the remainder of your work. 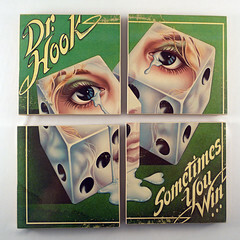 One of the ways of achieving “the hook” is to interject a bit of speculation into the Introduction. In other words, pose a “what if” element or two in your presentation but simply don’t bother to answer the speculation. These kinds of “what if” elements need to be sufficiently broad to accommodate the majority of readers but they must also be credible in the context of your entire work. Readers like speculation, so long as it sticks to the reasonable side of your genre. There is one exception here that must be acknowledged. If you are writing in the humor genre, let your speculation go as wild as you feel. Crazy speculation is regularly appreciated by readers who thrive on humor. The second element of a good Introduction is to keep it short. Most readers want to get to the meat of your words. They will tolerate a bit of an introduction because they want to get a feel for what is to come. However, they don’t want an epistle at this point in their reading experience. They want a taste, not the entire meal. That comes later. The third element of the Introduction should be a “tight summary.” Give your reader a quick, powerful overview of where you are heading. You want to put your reader on the same path as your story line but you always want to keep them moving ahead. Show them the head of the trail but don’t go so far as that first big turn. Give them a step or two along your story line and let them know, indirectly, that they are in for a fascinating journey. My preference is to never allow an Introduction to go on for more than two finished pages. Personally, I try to keep it as close to a single page as possible. The final element is to keep your “I” in your back pocket and far away from your Introduction. Unless you are writing in the first person, the use of “I” in your Introduction can be a real turn-off for many readers. At the opening of your work, at the Introduction, your reader does not yet know where he or she is going. You are the guide at this point. Like any good guide, you need to focus on the journey that lies ahead and on those who will walk with you. So, keep those personal views and opinions in your back pocket. There will be time enough later for this kind of writing. If you try to stick to these few hints you will find that your Introductions become more fluid, more interesting and more meaningful to your readers. From your point of view as a writer, that first step into your word journey must be fascinating and compelling. If it’s not, the rest of your words may lie sleeping on the page. Andrew, thanks for writing to my Head Wrap Advice Column! I think you meant “blog” rather than “flog.” I’ll just make this assumption about your not-too-subtle Freudian typo, OK? Not to worry. As you’ll see, it’s the same problem anyway. You suffer from Obsessive Compulsive Disorder. You can’t help yourself. You run around in the same maze, endlessly. You bounce up against the walls without counting your bruises. You just don’t learn. Instead, you mindlessly plow ahead, which is really a way of staying behind, and you don’t ever take the time to look outside yourself. It’s the voice in your head, that singular compulsion in your brain, that keeps you running around like a crazy person. As I’ve previously alluded, you are self-absorbed. You have no life. You’re stuck in time, nailed to some undefined psychic environment of your own design. You just haven’t learned about the wonderful world outside your personal space. Life means little to you because it all happens between your ears. You are dull, boring, fettered and listless. It’s your world and the rest of us are just passing through it. You’re bored. As I just said, you’re also boring. You do nothing of genuine interest to anyone, including yourself. Your most interesting attribute is that you have fast fingers. You may have a facile mind but it really doesn’t impact anyone other than yourself. So, boredom is your constant companion. You expect the rest of us to just accept the situation. You are fantasy-prone. Only you can hear that voice in your head. Only you can see those images trickling through your brain. Only you. It’s always about you, Andrew, right? You are in need of professional help. This should be obvious, Andrew. What you do, and why you do it, defines who you are. There are professionals out there who are waiting and anxious to help you. If you really want help, reach out and just stop flogging. You probably won’t do that because you are you, right? Hope this advice has been of some help, Andrew. As always, I love to hear from my readers. We all make spelling mistakes, right? I know I’ve made mountains of them over the years. Sure, we have excellent tools to see us through the dark times. But, spelling mistakes are inevitable and pernicious; sometimes, they are just plain fun. Let’s look at the upside for a moment. Ernest Hemingway. It’s hard to argue with one of the acknowledged masters of the trade. However, like us mortals, he had some significant hurdles with spelling. Here is a brief selection of his misspelled words, taken from his manuscripts. These were corrected in the editing/publishing process: archiologist, condences, proffessional, ungry, mistyque, useing, Hawaia, loseing. On a more mundane level, resumes and their cover letters offer some side-buckling humor. Of course, we all know the importance of that first impression. Here’s my favorite resume gaff: “I’m attacking my resume for you to review.” Found this on www.resumark.com. There are lots more. Back to the luminaries. How about F. Scott Fitzgerald? Could he spell? Here’s the answer according to www.onlinecollegecourses.com: Few writers are so known for their bad spelling as Fitzgerald. How bad, you say? Fitzgerald wasn’t even able to spell the name of one of his closest friends, Hemingway, often misaddressing him in correspondence and papers as “Earnest Hemminway.” The editor of his collected letters called him a “lamentable speller” who struggled with words like “definite” and “criticism.” Still, his poor spelling didn’t seem to do the author any harm, and many of his works are regarded as literary masterpieces today. And then there’s the world of journalism. Here’s what www.ezinearticles.com said about Britain’s infamous The Guardian: The Guardian newspaper has garnered an impressive reputation for frequent typographical errors, so much so that it has earned the nickname ‘The Grauniad‘ (first used in Private Eye magazine). Often cited is The Guardian’s first ever issue, which contained the spelling error ‘atction’ for ‘auction’. How embarrassing can it be? Well, try this headline from Daily Mail in the U.K: Pulped Fiction: Jonathan Franzen‘s latest novel recalled...because it’s full of mistakes. Wow, I wonder who looked at the galleys? OK, this kind of thing can get old very quickly. Let’s just end it with a snap from the world of public service. I mean, really . . . Many writers use pen names. For some, it’s a matter of privacy. For others, a way to differentiate genres for readers. Then, there’s the old story of just picking a nifty, catchy name when your own doesn’t quite fit. Perhaps some literary agent decided on a marketable pen name if the writer’s given name was a tongue-stumbler. For whatever reasons, pen names are a time-honored tradition for many writers. Here are a few interesting pen names, along with their more accurate translations. You might easily recognize many of these pen names. Others, well, maybe not so much. Abigail Van Buren, known widely as the advice columnist, “Dear Abby,” was actually a writing duo of mother and daughter, Pauline Phillips and Jeanne Phillips. Another famous columnist, Ann Landers, was actually Esther Pauline Friedman. Mystery and short-story author Anthony Boucher was born William Anthony Parker White. British author of the Arthur Crook crime novel series, known to readers as Anthony Gilbert, was actually Lucy Beatrice Malleson. Ayn Rand was Alisa Zinov’yevna Rosenbaum. The creator of Horatio Hornblower and The African Queen, known to readers as C. S. Forester, was better known to family and close friends as Cecil Smith. Satirist Lazlo Toth was Don Novello in real life. The famous British author Joseph Conrad was Jozef Teodor Konrad Korzeniowski. Great detective writer, Ellery Queen, was actually two writers: Frederic Dannay and Manfred B. Lee. Romain Gary, French author, won the prestigious Prix Goncourt twice. Once under his own name and again under his pen name, Emile Ajar. In real life, George Orwell was Eric Arthur Blair. 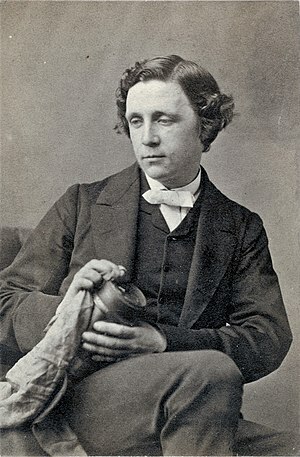 Certainly you knew that Lewis Carroll was Charles Lutwidge Dodgson. You knew that, right? Here’s something a bit easier. Mark Twain was Samuel Langhome Clemens. Well, maybe your weren’t sure about his middle name. Science fiction author Murray Leinster was lesser-known as William Fitzgerald Jenkins. And, of course, O. Henry was actually William Sydney Porter.